As we approach the release of the Samsung Galaxy S5 (check out this post for everywhere you can pre-order it), some of you might be wondering about the device’s water resistance. Samsung’s mentioned before that all their devices are water resistant to a point, but new to the Galaxy series is an actual IP67 rating. We’ve already seen the device get dunked in a tank of grimy water, but how about a less controlled environment? Say, your household washer for instance? 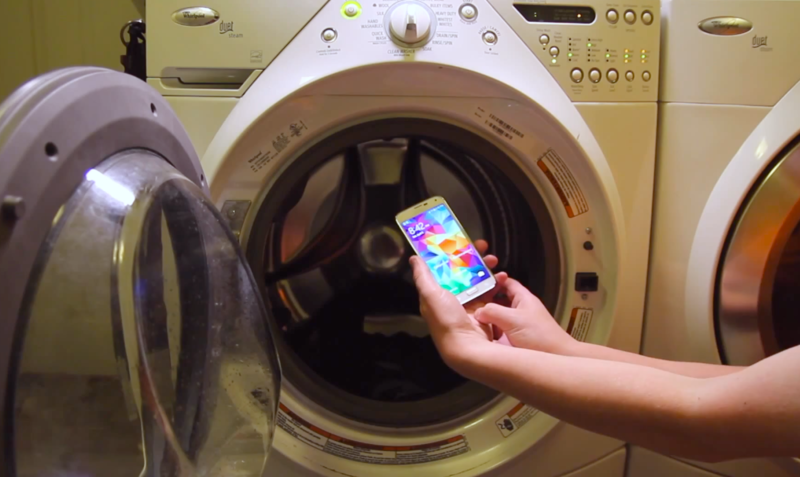 Those crazy kids at TechSmartt are back again, this time putting the Galaxy S5 through another “worst case scenario test” after it spends 18 minutes in their clothes washer. The phone gets tumbled around, hitting metal and plastic, even losing its sealed battery cover at one point. With Samsung constantly receiving heat for their device’s “cheaper” build quality, we think the results may surprise some of you. Check out the video below for more.